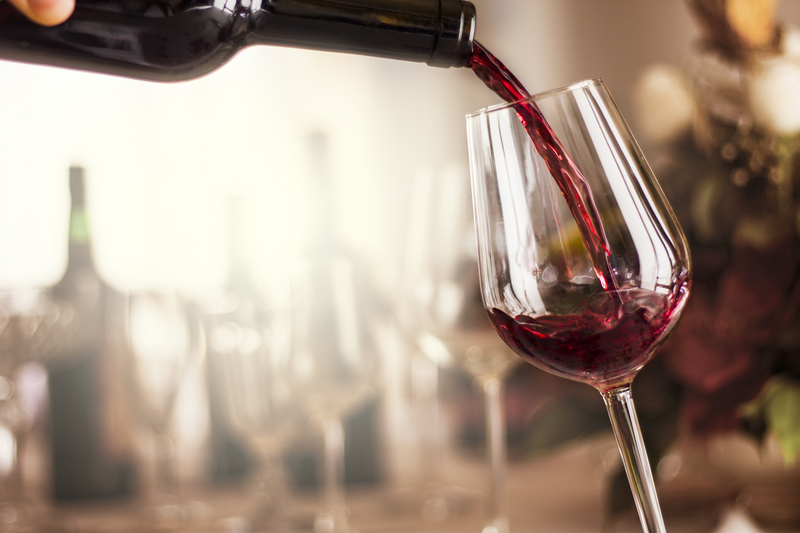 Many wine enthusiasts have justified topping off their glass of cabernet by exclaiming to the bartender, “Hey, I’m only thinking of my heart!” The notion that wine drinking and heart health go hand in hand is nothing new. For decades, researchers have observed how heart disease is relatively low among the French, a culture known for pairing wine with cheese and other rich, fatty foods. Could it be that the polyphenols found in red and purple grape skins truly have the power to protect your heart? The answer might be yes, and you stand to benefit in many other ways, too – as long as you drink in moderation, which is defined as one drink per day for healthy women and two drinks per day for healthy men. Explore how pinot noir and merlot can help your heart, along with the other benefits of drinking wine. Everyone touts wine as being good for your heart, but why is that? For starters, wine dilates arteries and increases blood flow, lowering the risk of clots. It also seems to boost “good” HDL cholesterol and helps prevent “bad” LDL cholesterol. Even when LDLs accumulate in the arteries, polyphenols help prevent the oxidation of this bad cholesterol, decreasing damage to the artery lining. Those heart-saving polyphenols found in red wine may also help impede the growth of breast and prostate cancer cells. Resveratrol, an antioxidant in wine, can also suppress liver and oral cancer cells. Red wine is loaded with a slew of other antioxidants that appear to have cancer-fighting properties. Bone mineral density, the measure doctors use to determine the strength and durability of your bones, is shown to increase with moderate drinking. This may reduce your chances of osteoporosis, a condition associated with thin, brittle bones caused by calcium loss. Remember, the benefits of drinking wine disappear if you overdo it regularly. Plus, your diet and lifestyle choices play a more significant role in your overall health. Therefore, despite promising evidence that wine promotes a healthy heart, protects against cancer and supports stronger bones, doctors won’t be handing out prescriptions for alcohol anytime soon. But that doesn’t mean you can’t drink to your health with a glass or two at Vinum Bar! We carry all your favorite wines – pinot noir, chardonnay, merlot and many others. Host your next private party, corporate event or bachelor party at Vinum Bar in Newark, CA to enjoy a luxurious atmosphere, delicious cuisine and an extensive wine list. Come visit us, or call 510-285-3585 to make a reservation for your party today.